Antonio Cuellar, Luxury European hotel judge knows that Venice is one of the most magical destinations in the world. Visiting there is like taking a gondola trip back in time. Venice is the capital of Italy’s northern Veneto region and is a feat of engineering and wonder. It is built on more than 100 small islands in a lagoon in the Adriatic Sea. 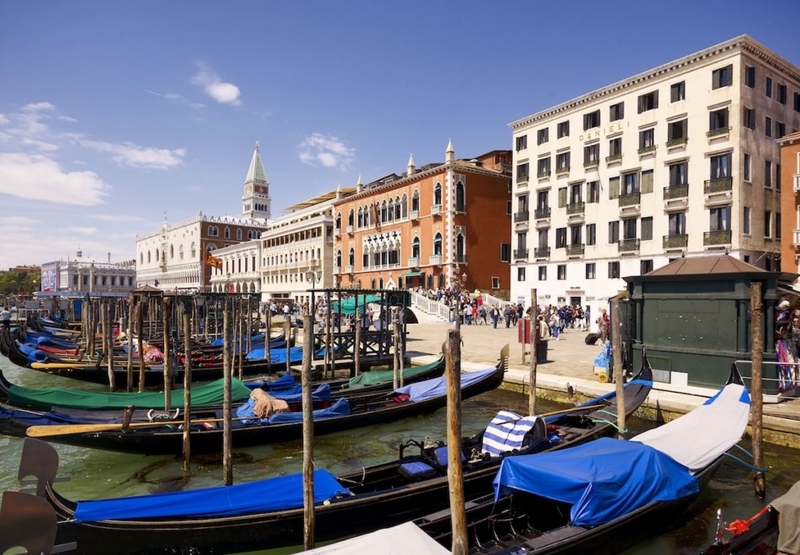 There are no roads but rather canals, including the most famous of all, the Grand Canal, which is lined with a stunning array of Renaissance and Gothic palaces. Venice is a place where the sea, land and sky come together, unlike any other place in the world. Another reason that is it unique among world cities is its art and architecture which displays an immense wealth, mostly accumulated by the Venetian Republic so many centuries ago. As a luxury European hotel judge, Antonio has an appreciation of hotels that provide world class luxury and experiences that cannot be replicated anywhere else. In his capacity as judge for the Luxury Travel Guide, Antonio is often asked to recommend the best hotels in the world and the Hotel Danieli was one of the easiest recommendations he has ever made. In his capacity as Luxury Hotel Photographer, Antonio has visited some of the most luxurious hotels in the world and he understands full well that along with sumptuous surrounds, unparalleled comfort, impeccable service and an incredible location the Hotel Danieli offers an experience that is truly unforgettable. Because of its unusual city design along with its immeasurable artistic heritage Venice is included in the heritage of humanity projects protected by UNESCO and it has the highest number of visitors of any Italian city. 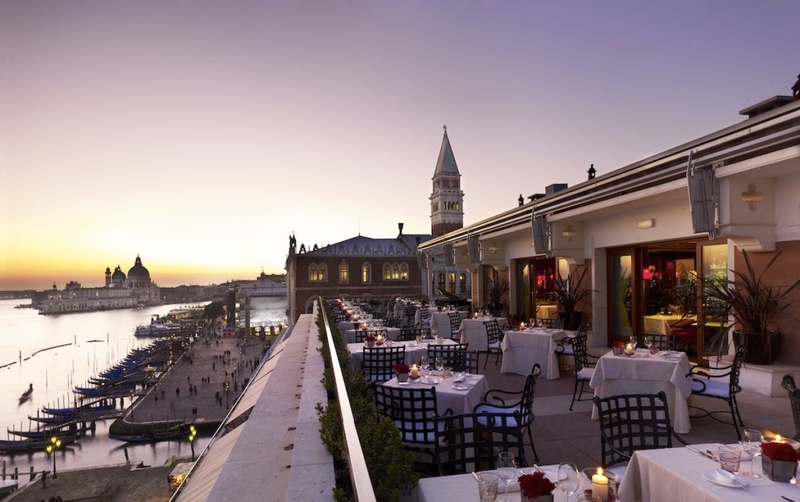 The Hotel Danieli, with its exceptional location on the Riva degli Schiavoni proudly overlooks the Venetian lagoon. It is only steps away from the Bridge of Sighs and the famous monuments of the Piazza San Marco. The truly incredible Hotel Danieli is comprised of three palaces, with the original palace dating back to the 14th century. These three palaces have been interlaced effortlessly to create an exceptional Venetian hotel filled with precious artworks and antiques. The original palace was built at the end of the 14th century by the Dandolos; a noble Venetian Family. In the 16th century the building was divided into three sections for different members of the family. This richly embellished building, which still gave the appearance of a single structure from the exterior, was the venue for social gatherings and lavish parties. In the 17th century ownership changed to the Mocenigo and Bernardo families who continued to make it the place to be in Venice with celebrations that were renowned throughout Venice for their opulence. In the 19th century after the fall of the Venetian Republic the building was suffering from the effects of the city’s decline. A Venetian named Giuseppe Dal Niel of Friuli, also known as Danieli, however, saw the potential of the building as an important centrally located meeting place for Venice. He bought the entire building, and lavishly restored it to its former grandeur. Once it was complete, he converted it into a hotel and appropriately renamed it, the “Danieli”. To create the Hotel Danieli as it is known today, further changes to the structure were to take place. By the end of the 19th century, the building was connected via a bridge link to a 19th century adjoining palace, then known as the Casa Nuova to become part of the hotel in 1906. Ongoing changes to the facade were undertaken during the early 1900’s. Finally, between 1946 to 1948 the hotel was substantially extended. The “Danielino” (Little Daniele), a new building with a marble façade became the last addition to the hotel, creating the complete Danieli Hotel as it is known today. 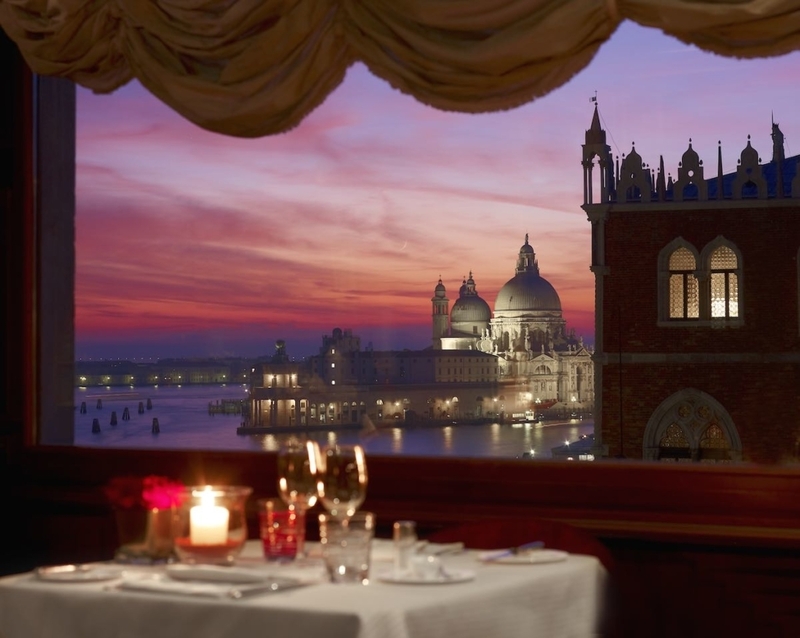 This sumptuous luxury 5-star hotel in Venice has over 200 rooms ranging from Single rooms to the opulent Doge Dandolo Royal Suite. luxury European hotel judge Antonio appreciates the individuality and attention to lavish detail that is so essential to being deemed a luxury hotel. Each room is unique in styling and design and spread throughout the central building and three wings of the different palaces that so seamlessly create the Hotel Danieli. Each room has inspiring views over the various parts of Venice that they overlook. As a Luxury European hotel judge, Antonio is appreciative of the magnificent views, confirming that they are spectacular and part of the overall Hotel Danieli experience. 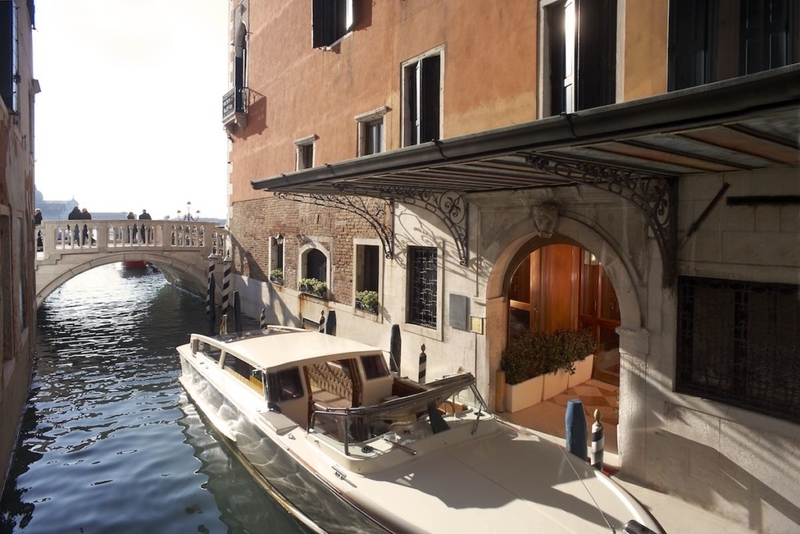 Whether it be enjoying sunrise over the Venetian lagoon or enjoying the traffic on the Grand Canal, guests are given the opportunity to absorb Venetian life whilst staying at the Hotel Danieli. With extensive renovations having been completed throughout the whole hotel each room is a treat for the senses. 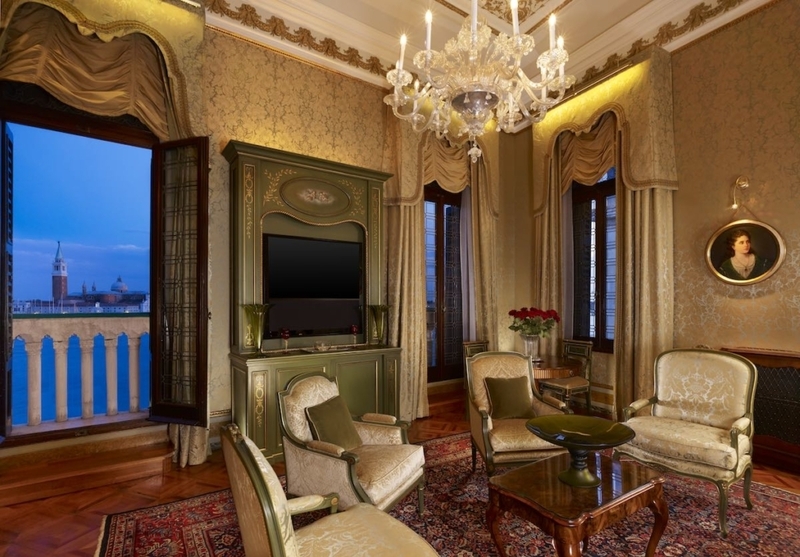 With classical Venetian and Gothic décor, parquetry flooring, richly textured drapery, damask headboards, hand blown glass chandeliers and handmade lamps, each room will envelop the guest in the bygone world of historical and opulent Venice. For a hotel to be truly luxurious it must also be able to provide dining experiences where the tastes are sublime and the service is impeccable. The Hotel Danieli has two restaurants and two bars that offer guests the ultimate in regional cuisine made by the finest of locally sourced ingredients. 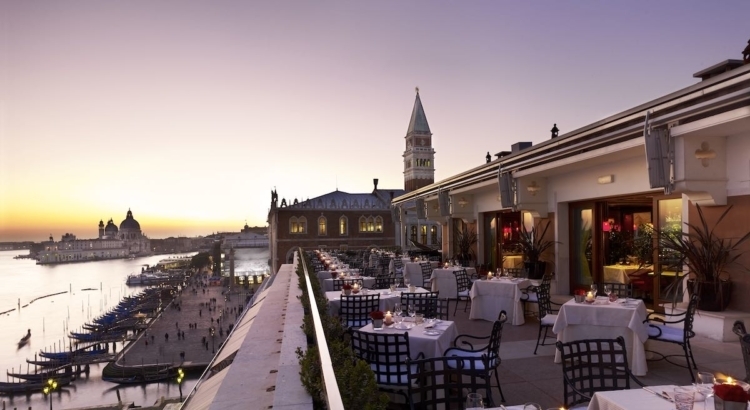 The Restaurant Terrazza Danieli offers an enviable rooftop location serving cuisines that celebrate Venice’s historical background as a place that celebrated the meeting of both East and West. 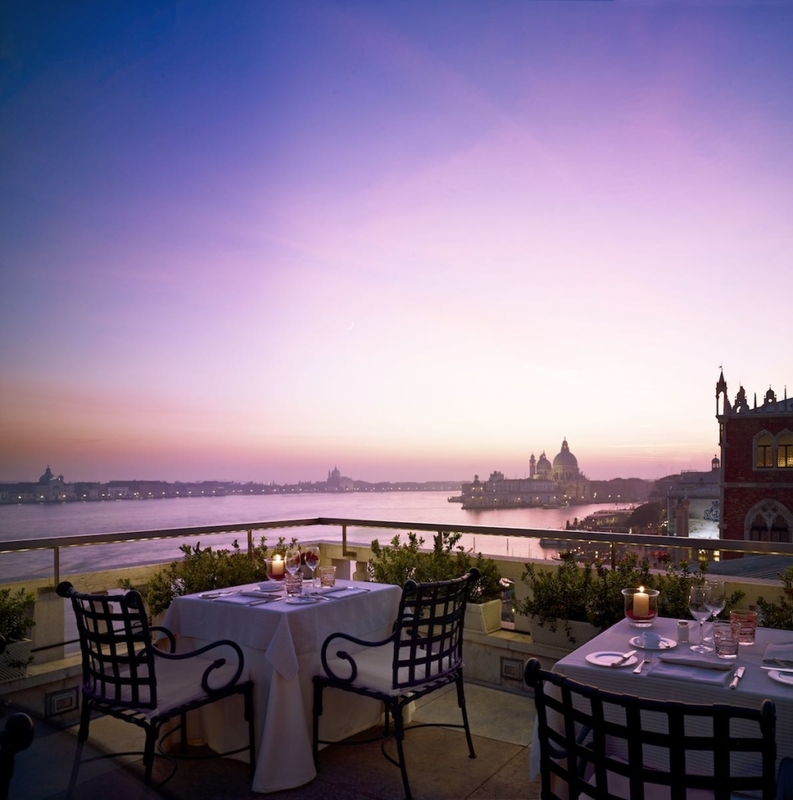 From the Bar Terrazza Danieli, guests can experience some of the most spectacular views over the Venetian lagoon that Venice has to offer. Also with a rooftop location, guests can enjoy an aperitif or a light snack whilst enjoying its sumptuous surrounds and endless views. For slightly more casual gatherings the Danieli Bistro offers an informal setting where guests can partake in Italian sharing platters and local beers all served against the backdrop of the signature panoramic views of the Hotel Danieli. Finally, luxury European hotel judge Antonio considers the Bar Dandolo one of the most sophisticated destinations in Venice to enjoy a morning espresso or a late-night cocktail whilst listening to nightly evening piano music. Nestled amongst the marble columns on the ground floor of Hotel Danieli’s 14th century Palazzo Dandolo, it will be hard not to imagine that you have stepped back in time. The Hotel Danieli according to luxury European hotel judge Antonio Cuellar is quite simply one of the most extraordinary and legendary hotels in the world. It is a hotel that is universally loved by Hollywood celebrities, writers, poets and famous names throughout the centuries. In 2010 extensive footage was shot at the hotel for The Tourist starring Johnny Depp and Angelina Jolie. The suite in which they occupied in the film was once lived in by the likes of Proust and Balzac. The Hotel Danieli is also renowned for its stories of romance. Its romantic appeal is confirmed by Antonio Cuellar, luxury European hotel judge, who believes that the history, location and splendour of the Hotel Danieli, just lends itself to romance. Maria Callas infamously met Aristotle Onassis at a party held at the Hotel Danieli whilst they were both married. The list of famous guests who have stayed at the Hotel Danieli reads like a who’s who over the centuries. Proust, Balzac, Charles Dickens, Truman Capote and Bruce Willis. Royalty, politicians and philosophers. 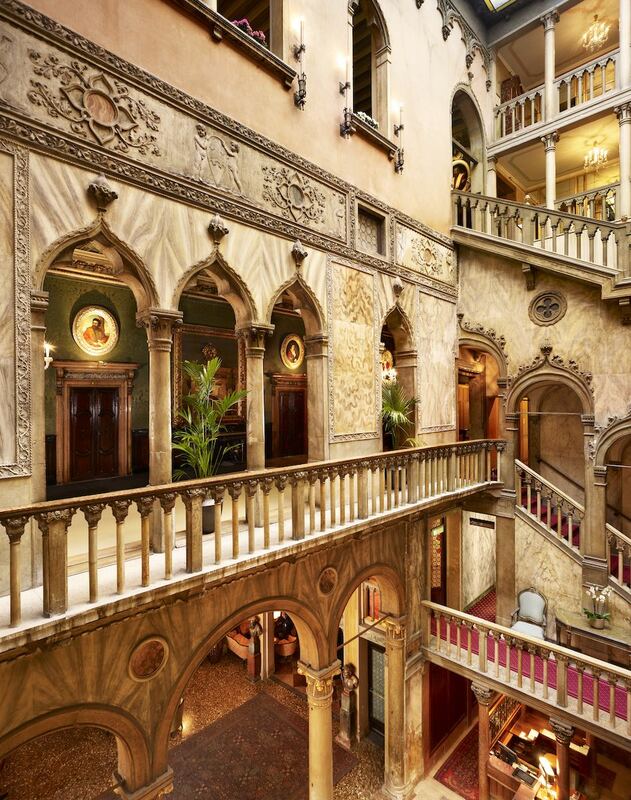 The Hotel Danieli is simply the place to stay in Venice. One of the most famous stories lovingly associated with the Hotel Danieli is that of George Sand and her lover Alfred de Musset. They stayed in late 1833 with George Sand staying in Room number 10. From her small balcony overlooking the banks of the Riva degli Schiavoni, Sand could watch the sunset, later described in her ‘Letters of a Traveler’. She wrote, “Nearer the town the lagoon was like a vast mirror of bronze. Never had I seen Venice so lovely and so fairy-like.” Part of the charm of Venice is that it is indeed fairy-like and as European hotel judge Antonio will attest, part of the charm of the Hotel Danieli is that it is unique and luxurious and offers an experience unmatched anywhere in the world. 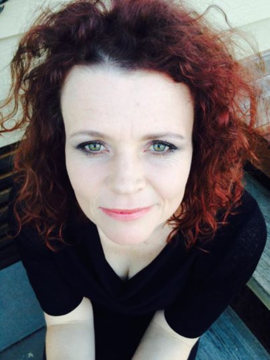 Lara Flanagan spent the first 15 years of her working life working with luxury hotels throughout Australia, Europe, the United Kingdom, the USA, Caribbean & Latin America. 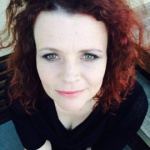 The birth of her twins changed things somewhat and now she writes full time about hotels, food, travel and everything in between. Venice has always been a place that I would want to visit or have a honeymoon in. And indeed, this place is very exquisite and shows how romantic it really is. It’s an old kind of romance that brings a sense of nostalgia. Matthew Shaw has a good eye for captures. Every photo is jaw-dropping! And I love the history that goes along with them. This place is so heart fluttering! Venice.. a place where many people wants to visit. I very much like the picture where it shows a way directly to cruise the river. They say picture paints a thousand words..continue capturing beauties and continue showing it to us. It seems we are there, even if we’re not. This place looks majestic. Thanks for sharing its charm and beauty with us! Venice is truly a magnificent place. The view of the boats passing by is very relaxing. The interior of the hotel is also stunning. Definitely a world-class. 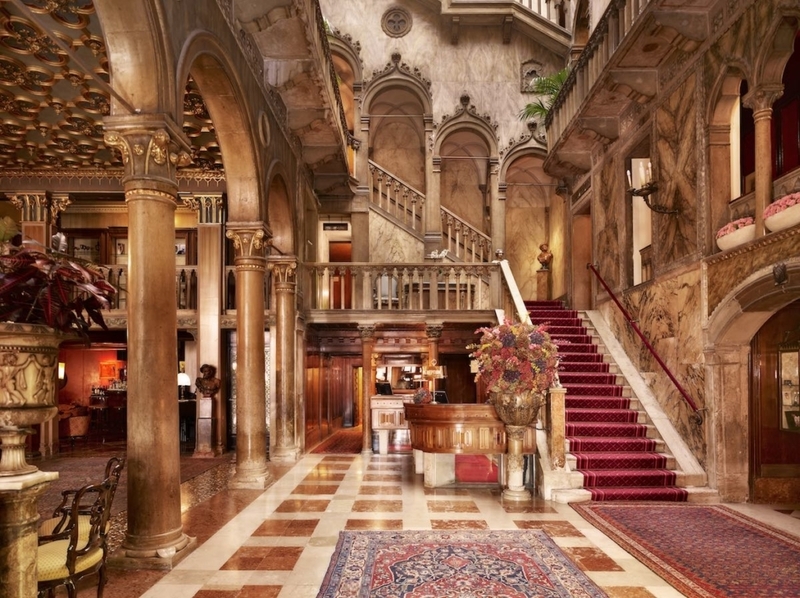 Venice is just magical and this hotel enhances its magic and beauty it already exhibits. The photos are eye filling. The Hotel Danieli is simply the place to stay if you are in Venice. I agree. Would be one of my to-go places when I visit in Venice. I just hope I’d have enough money so I can check-in here though. Haha! Thanks for keeping us posted! I love the pictures that was shown on this site about the city of Venice and the Hotel Danieli itself. The way these people get around is remarkable also, I understand why the UN has this as a heritage site. Thanks. This is a very beautiful place. I wish I could visit one day but then again its probably too expensive but if I had the money I would come to Venice and the Hotel Danieli. the photos… are amazing. the view is breath-taking. i never see such posting about Hotel Danieli, with the details as this posting. such wonderful place and story. thumbs up for sure! Very ELIZABETHAN architecture wise and I love it. It has that royalty vibe all over the place. It has been a dream to go to Italy. With this It motivates me to go there sooner ha ha. Another site to see thanks. This is so grand! Breathtaking sights make me want to go there too! A grand place to put in a bucketlist. Didnt know Venice is such an enthralling place! Went to Venice a couple years ago, and I remember looking at this hotel. It was marvelous, would like to stay there sometime in the future.